Here you will find much memorabilia from Lawrence and Nettie Karas Stehlik family, who were descended from Czech pioneers on both sides. 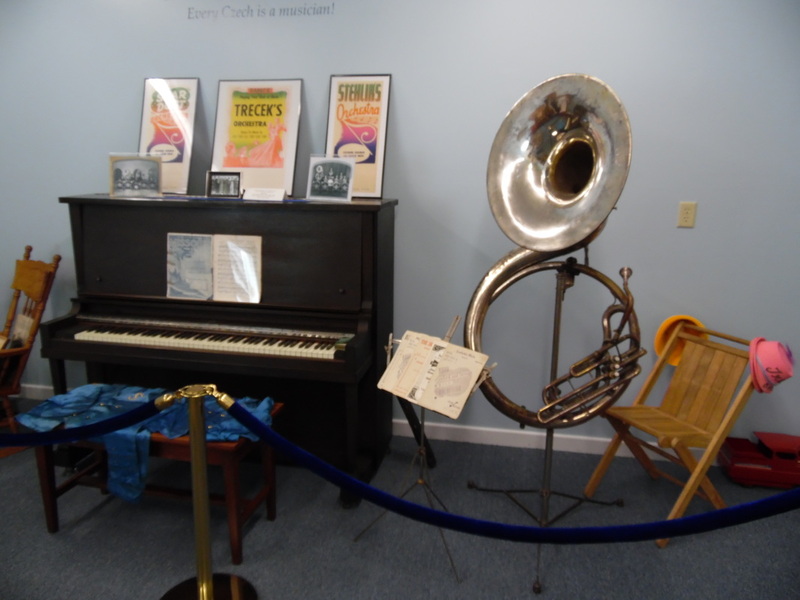 Both Lawrence and Nettie were musicians, and one wall of the museum is filled with music -- Nettie's piano, Lawrence's sousaphone, band posters, photographs, music, and more. On the wall above are the Czech words and a translation -- Every Czech is a Musician. So true. One of the pictures on Nettie's piano. The Stehlik Orchester in 1939, ready to leave on orchestra tour to Kansas and Oklahoma. 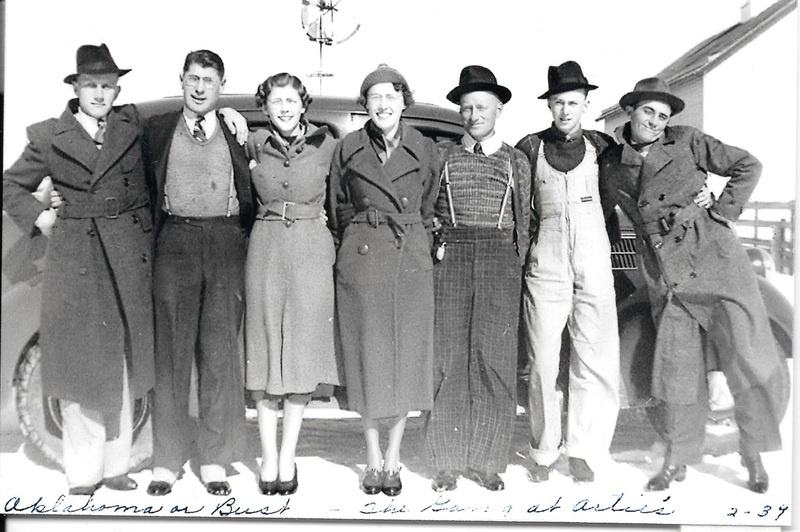 Left to right: Harland Keiser, Ernest Sudik, Arlene Fisher, Nettie and Lawrence Stehlik, Joe E. Karas, and Arthur Vitosh.